Oi! I'm from Kent. And I don't watch ITV (despite being working class). Actually I'm from London, but I was moved to Kent aged 2. Also she's good because she's self-deprecating, including about being no oil painting. This is the 'Business' slot on BBC Breakfast that 4 days out of 5 has absolutely nothing to do with 'Business'. The 'lovely' Steph is in her element talking about the January rail fare increase (even though she covered it a few months previously when the relevant RPI number was published), rising gas bills, the north/south divide, what you can do with your pension pot etc etc, whereas the clue in the title is that the slot is about what businesses are up to, how they are performing, deals, mergers etc. I suspect she's too thick to even realise such a nuanced argument! And so is that Naga Munchetty. Face like a melted wellie. Gemma Collins apparently. And apparently also known as ‘The GC.’ Big girls need big statement names. I know nothing about her or Dancing On Ice but that incident where she told the Australian judge on the show to not ‘Sell stories on me’ when all he did was comment when asked by the press on contestants just shows what defensive, simple, and irrational people, her and her ‘fans’ and viewers are. But that will be lost on them. I blame all itv channels and Eastenders for making things even worse and going further from the point of no return. Completely talentless pig shouldn’t have a platform, unless it’s reinforced concrete. Can’t argue with any of this, although I’m not sure reinforced concrete would be strong enough to hold her. I always thought Katy Perry's eyes were too big. 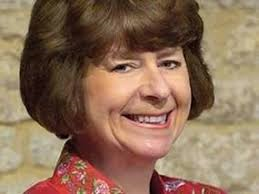 I'll see your Pam Ayres & raise you Susan Boyle. No link . . . Damm.